The race team and marketing company have secured the rights to run the event for the next few years, there will be constructive changes! Day Two of the 2018 Motul Roof of Africa ended with a fourth overall victory for defending champion Wade Young (Sherco Racing), but it wasn’t all plain sailing for the Port Shepstone rider. 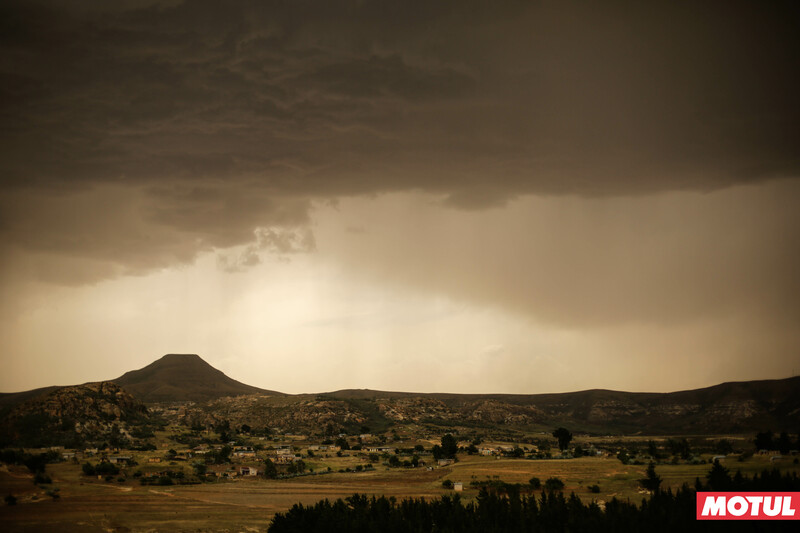 The threatened rain didn’t materialise; instead a series of dramatic duels played themselves out in the mountain passes of Lesotho. Water was certainly a factor on Day Two, with Young sacrificingalmost half his overnight lead over Travis Teasdale (Beta) by being cautious at several of the river crossings, in some cases dismounting and wading through the water to assess its depthbefore choosing his lines. 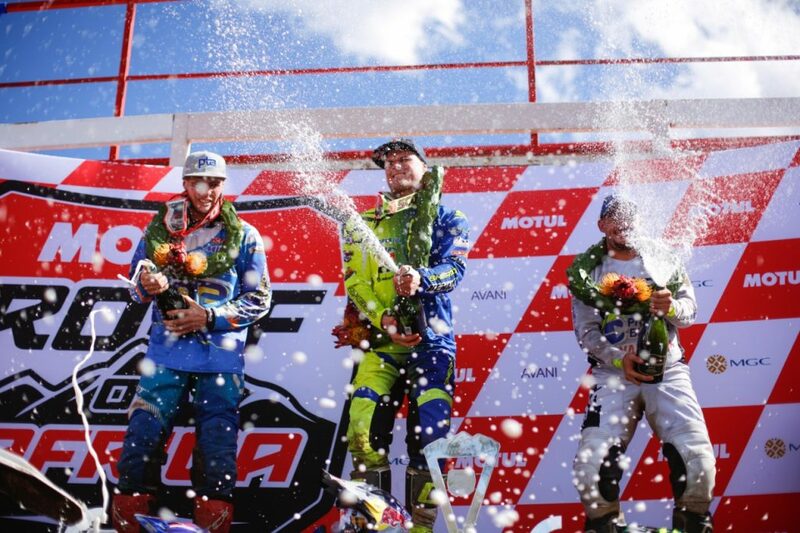 Speaking in the winner’s enclosure after his victory, Young described the 2018 Motul Roof of Africa as “gruelling and super-tough” and a “really physical event”. 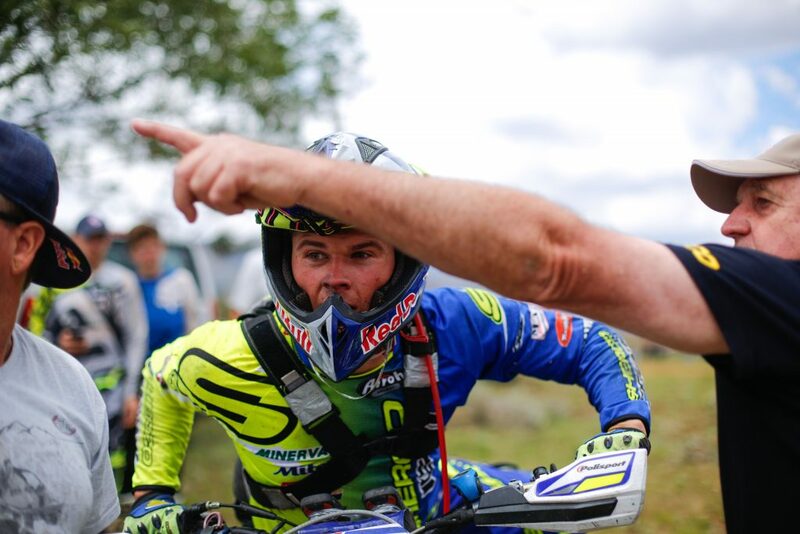 Behind the leading pair, Kyle Flanagan and Lloyd Kirk (both Bidvest bLU cRU Yamaha) and Dwayne Kleynhans (Brother Leader Tread KTM) resumed their battle for the final podium spot. Flanagan won out to clinch third place, having extended his advantage over rising star Kirk to 9 seconds. Kleynhans ultimately finished fifth, a further 20 minutes back. 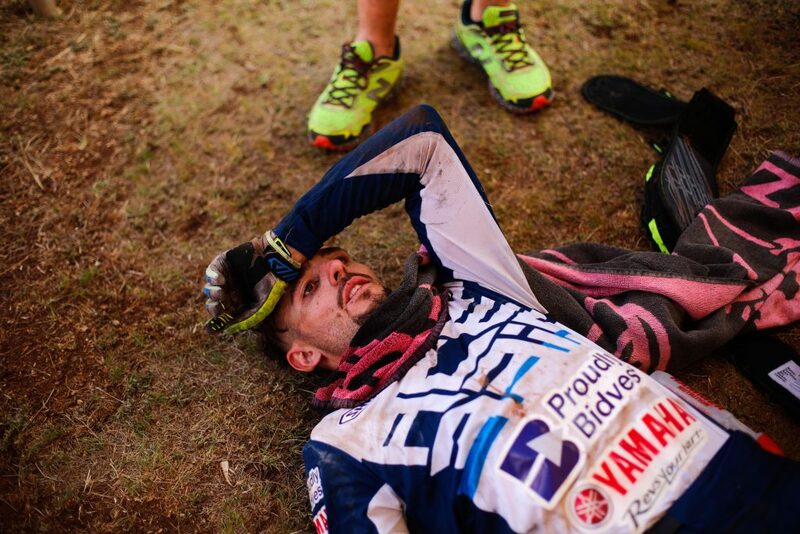 Sadly for Barwell, his pursuit included a tumble into a ravine, and his overall result saw him finish in second, over 30 minutes behind Mante. Paul Grobler (KTM) completed the Silver Class podium line-up. While the route was praised by many of the Silver competitors, the inclusion of so many new route sections made navigation difficult and saw a high attrition rate for riders, with almost 50% of the field in this class failing to finish. By the end of Day Two, the Mother of Hard Enduro had accounted for around two thirds of all the Bronze Class competitors. First across the line was overnight leader Vincent Labuschagne (Enduro-Tech), but he had accidentally missed a large loop of the route and was disqualified. 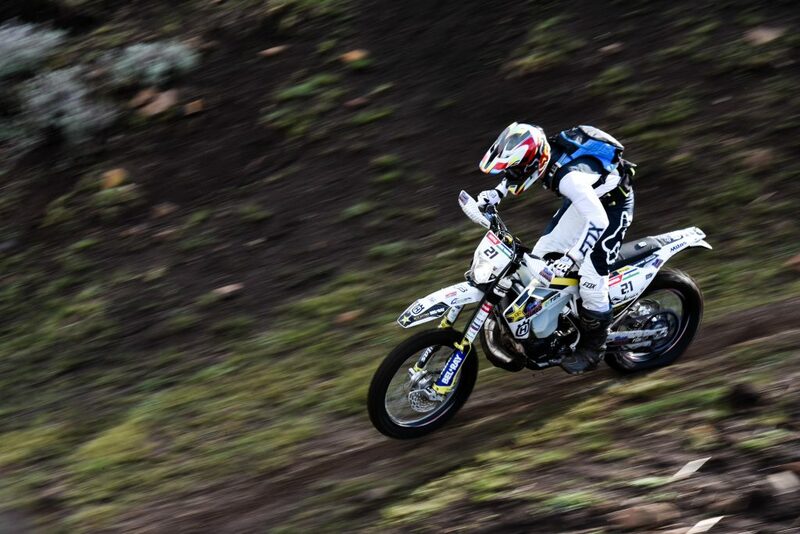 In his first-ever Roof, Matt Burger (Leader Tread Husqvarna) won the Bronze Class with a time of 14h07’09”. 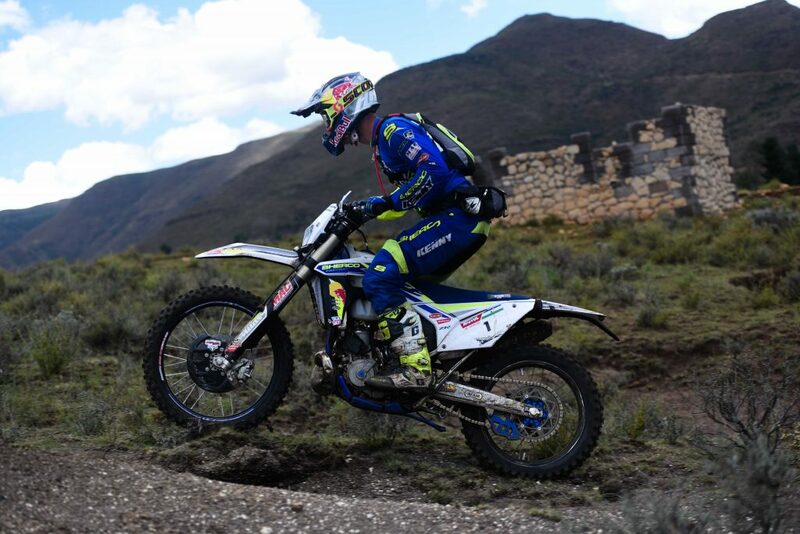 Well-known quadbike racer Hannes Saaijman was just under 13 minutes behind in second. Nuno Pereira (Portugal) was the highest-placed international Bronze rider, finishing in third place. The 2018 Motul Roof of Africa was honoured to welcome Lady Mamonaheng Mokitimi, President of the Senate of Lesotho, to the Start/Finish Zone to present the Gold Class first and second prizes, while her colleague Dr. Nkaku Kabi, Lesotho’s Minister of Health, presented the Gold Class third prize. 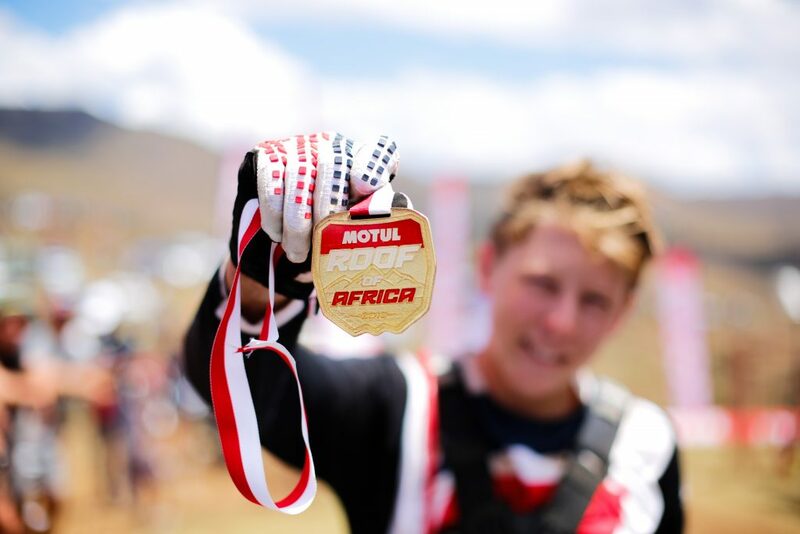 By all accounts, the 2018 Motul Roof of Africa was a resounding success. The changes to the format of the Round the Houses Prologue and the inclusion of many tough new passes were praised by riders in every class. 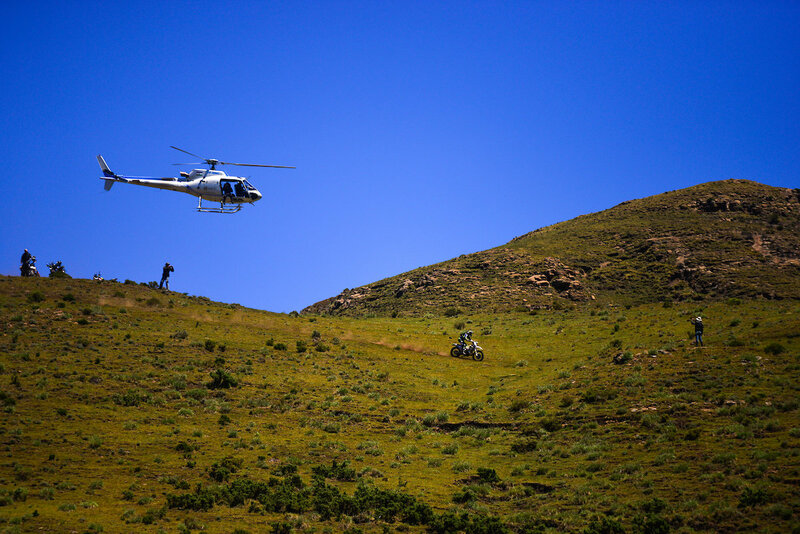 The feedback from competitors, teams and spectators alike bodes well for the future of Africa’s most iconic Extreme Enduro event. Motul is a world-class French company specialised in the formulation, production and distribution of high-tech engine and industrial lubricants. Motul is also recognised as the specialist in synthetic lubricants. As early as 1971, Motul was the first lubricant manufacturer to pioneer the formulation of a 100% synthetic lubricant for automotive engines, the Motul 300V lubricant, which made use of ester technology derived from the aerospace industry. Throughout the years, Motul has gained experience as an official supplier to many racing teams and manufacturers and continues to collaborate with them to further technological development in motorsports. Motul supports teams in international competitions such as: 24 Hours of Le Mans (cars and motorcycles), FIA World Endurance Championship, IMSA WeatherTech SportsCar Championship, Super GT, Drift, Japanese Super Formula Championship, Blancpain Endurance Series, Dakar, Tour Auto, Le Mans Classic, MotoGP, World Superbike, World MX, FIM Endurance World Championship, IOM TT, MOTUL FIM Ice Speedway Gladiators World Championship, Roof of Africa and many others. 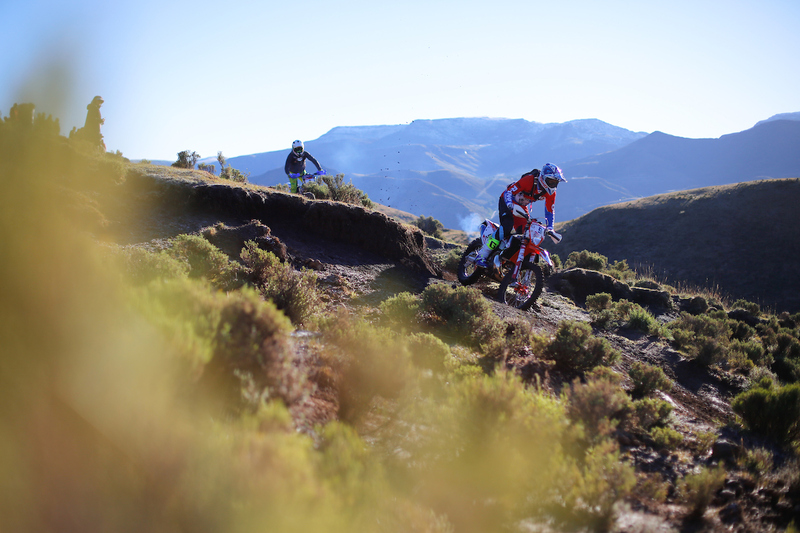 Day One of the2018 Motul Roof of Africa was a day of contrasting fortunes for the leading riders from yesterday’s Prologue, and demonstrated once again that in Lesotho, things can change in an instant. In the GoldClass, overnight leader Travis Teasdale (Beta Racing) surrendered his advantage over defending champion Wade Young (Sherco Racing). After being passed by Young, he lost touch and dropped back. Once he’d overtaken Teasdale, Young didn’t look back. His total race time of 8h28’30” gave him a lead of just under40 minutes by the end of Day One. While Young was alone for most of the day, a real tussle was going on just behind Teasdale for third place. As impressive clouds gathered overhead, Dwayne Kleynhans (BrotherLeader Tread KTM) managed to hold off Kyle Flanagan (Bidvest bLU cRU Yamaha) by 1 second, with rising star Lloyd Kirk (also Bidvest bLU cRU Yamaha) a further 7seconds back. By working together, these 3 riders from competing teams had managed to share navigational duties and make up time on the leading duo – an approach that perfectly embodies the spirit of the Roof. Indeed, several riders asserted that this had been “a proper Roof” and that as well as a number of new technical passes, the scrub and rocks in between had been relentless and “in your face”. Not that this seemed to have slowed down today’s winner: Wade Young remarked that he “felt great” after a gruelling day in the saddle, and thathe was ready to take on Day Two. 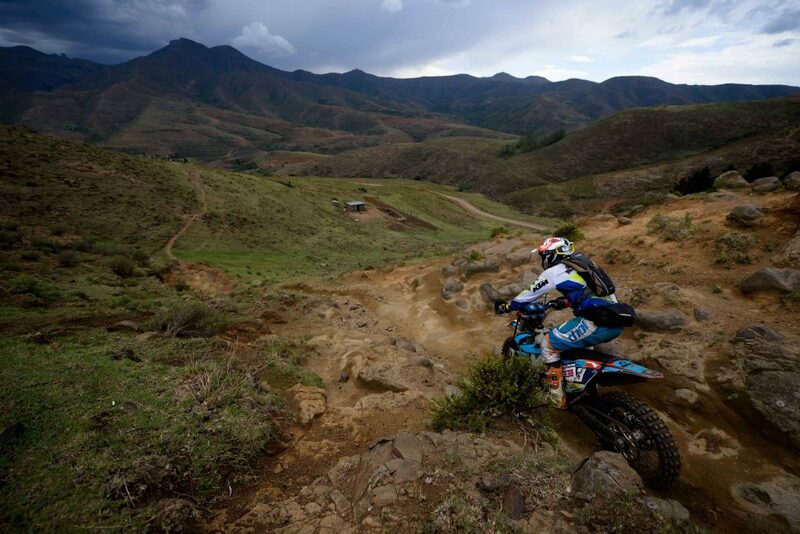 While Young has what might seem a comfortable cushion over his rivals, the heavy rains forecast for tonight and tomorrow mean that the overall result for this year’s Roof of Africa is far from a foregone conclusion. In the Silver Class, perfectly embodies Kayde Mante (RBS Yamaha) lost his lead to Warren Barwell (KTM) but is a mere 1 second behind, with Paul Grobler (KTM) occupying third spot at the end of the day. 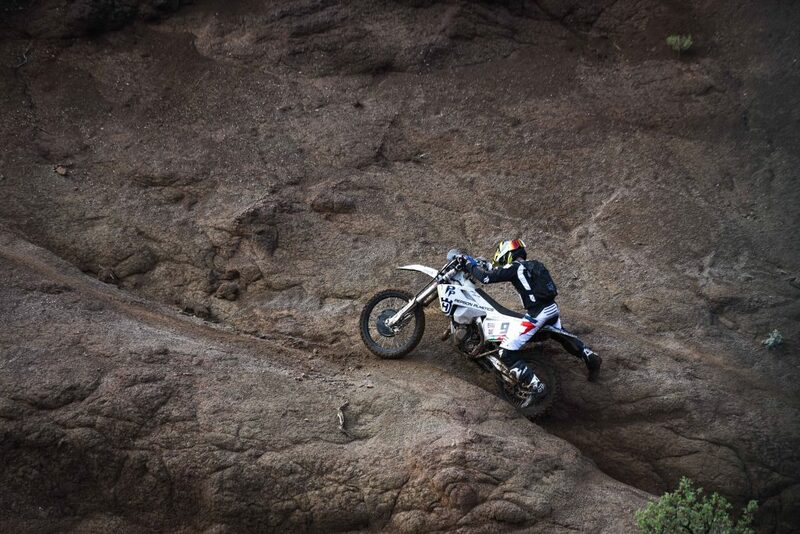 The Silver Class riders had a navigational duties new tracks to contend with, which made navigating more difficult. Despite the challenges of yesterday’s very wet time trial, the feedback from the Bronze Class riders was also very positive, and it was clear from those for third stopped at the Designated Service Point that the Roof was more than living up to their expectations. 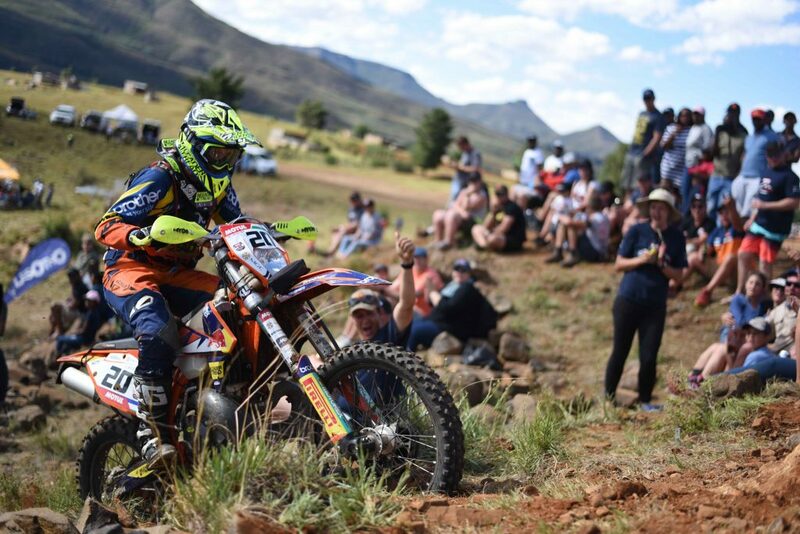 Matthew Burger (LeaderTread Husqvarna) was the first Bronze rider home, with Vincent Labuschagne (on one of 3 KTM 500’s in the event ) in second and Hannes Saaijman (KTM) in third. At the time of going to press, over 100 Bronze Class competitors were still for third the course – proving once again that the 2018 Motul Roof of Africa deserves to be known as the Mother of Hard Enduro. Motul is a world-class French company specialised in the formulation, production and distribution of high-tech engine and industrial lubricants. Motul is also recognised as the specialist in synthetic lubricants. As early as 1971, Motul was the first lubricant manufacturer to pioneer the formulation of a 100%synthetic lubricant for automotive engines, the Motul 300V lubricant, which made use of ester technology derived from the aerospace industry. Throughout the years, Motul has gained experience as an official supplier to many racing teams and manufacturers and continues to collaborate with them to navigational duties development in motorsports. Motul supports teams in international competitions such as: 24 Hours of Le Mans (cars and motorcycles), FIA World Endurance Championship, IMSA WeatherTech SportsCarChampionship, Super GT, Drift, Japanese Super Formula Championship, Blancpain Endurance Series, Dakar, Tour Auto, Le Mans Classic, MotoGP, World Superbike,World MX, FIM Endurance World Championship, IOM TT, MOTUL FIM Ice SpeedwayGladiators World Championship, Roof of Africa and many others. 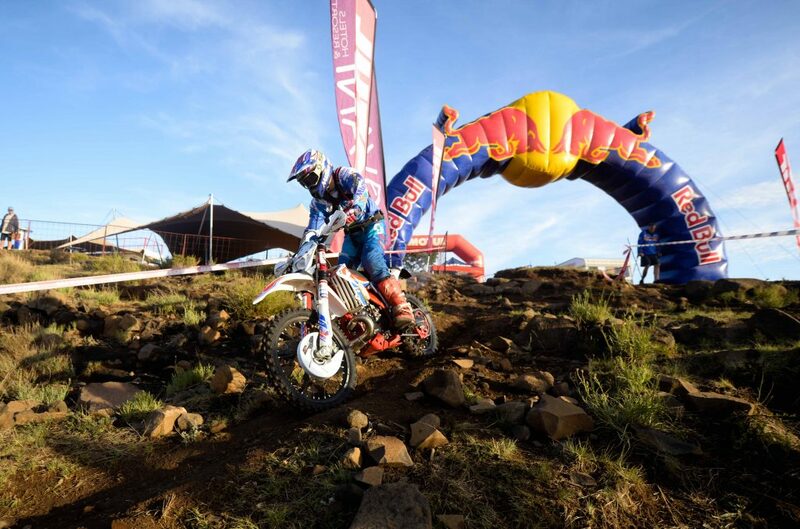 To mark the 51st running of this iconic extreme enduro event, the Motul Roof of Africa 2018 saw the introduction of an all-new opening format. The Round the Houses curtain-raiser was transformed from the traditional dash through the streets of the capital city into two laps of a custom-designed prologue at Maseru Mall. 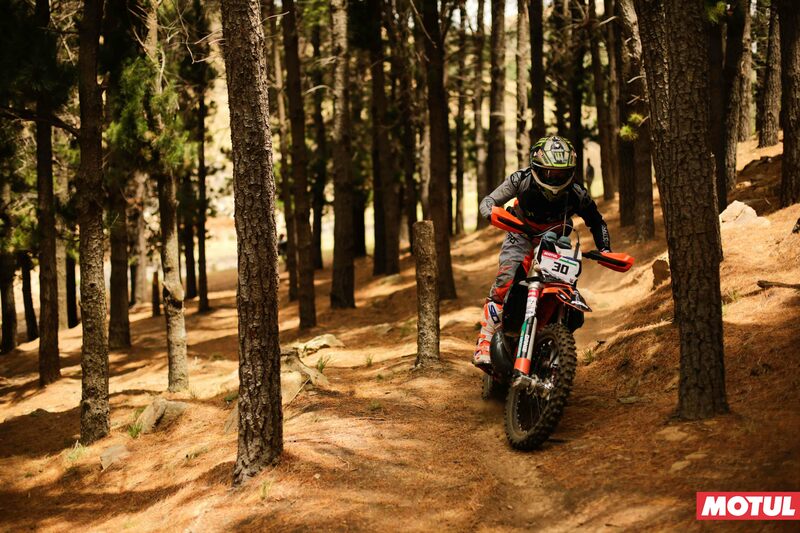 The combination of challenging technical sections and rapid traverses got competitors into the extreme enduro vibe immediately, and gave the leading riders a chance to demonstrate their skills to an enthusiastic local crowd. 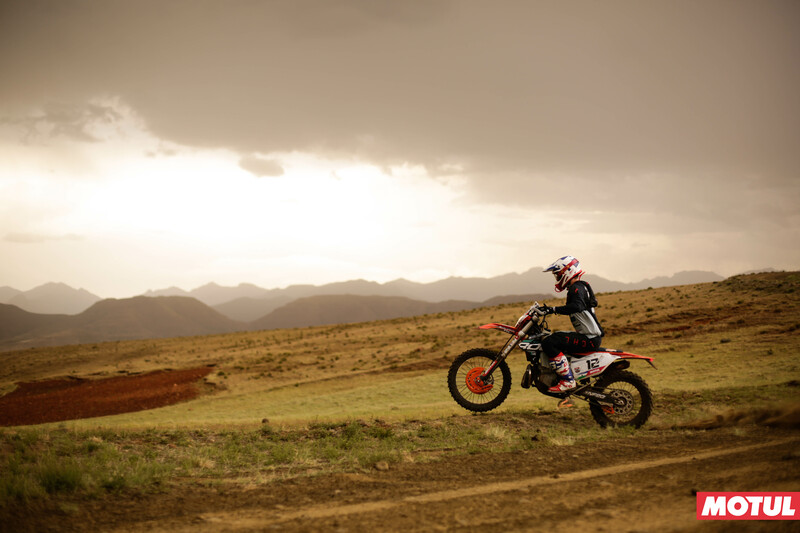 With the Roof of Africa renowned for bringing rain to Lesotho, the dark clouds were no surprise – but they couldn’t dampen the spirits of the spectators, who were also entertained by a thrilling display of daring freestyle riding. Reigning champion Wade Young (Sherco Racing) topped the Gold Class at Round the Houses, closely followed by Travis Teasdale (Beta) and – following a strong return to form – Scott Bouverie (Brother Leader Tread KTM) in third. Excitement mounted as the riders then set off for St Anthony’s School near Roma for the 48km time trial. This would see competitors tackle terrain that has not featured in the event for a decade. With thunder and lightning on the horizon, tactics and timing became a key consideration for the main contenders. Would it be better to go early, and race against the rain as well as the clock – or hang back and let the route develop? In the Gold Class, the fascinating duel between Young and Teasdale continued. After almost an hour and a half in the mountains, Teasdale’s combined time for the day of 1h32’15” edged out the multiple Roof of Africa winner by just 87 seconds. With the chasing pack of seven riders led by Bouverie and clustered around the 1h40’ mark, Friday’s 142km Day One promises to be an unmissable contest. The Silver and Bronze Classes also provided a nail-biting spectacle. In the Silver Class, RBS Yamaha’s Kayde Mante held off Warren Barwell and Paul Grobler (both KTM). Meanwhile, the Bronze Class results are still to be finalised with at least 20 riders still out on the course at the time of going to press. The new format Round the Houses more than lived up to the pre-event hype, and with more rain forecast, the 2018 Mother of Hard Enduro is well on the way to becoming another classic event. 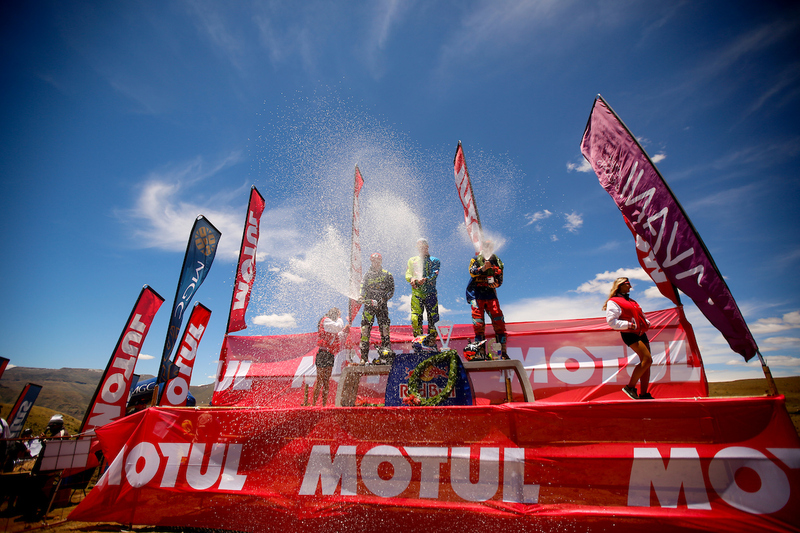 The final countdown to the iconic Motul Roof of Africa has officially begun. 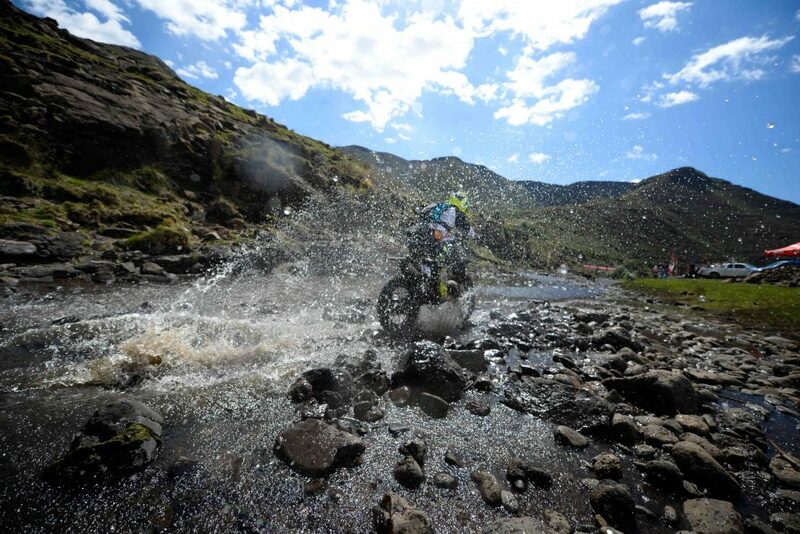 The event notoriously known as the ‘Mother of Hard Enduro’ will kick off in Lesotho on Wednesday, 5 December. 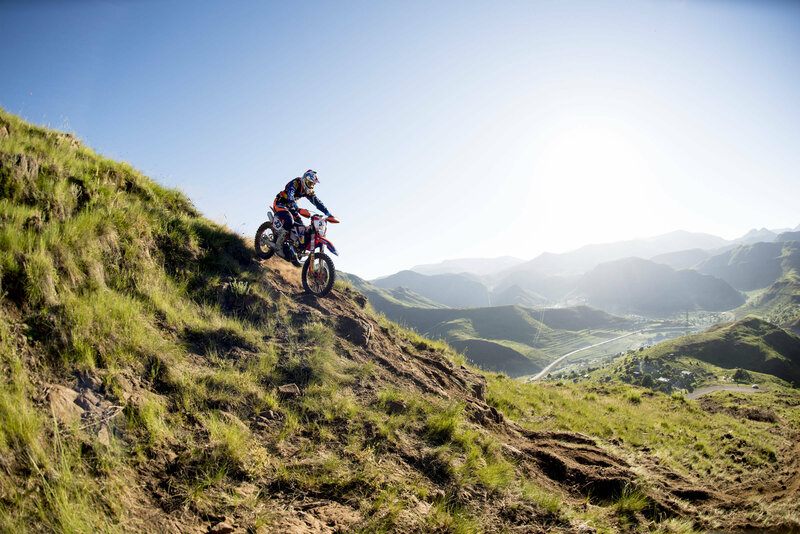 Adding to the ever-building excitement is the news that Kenny Gilbert, a well-known South African rider, did a recce of the 2018 route recently. 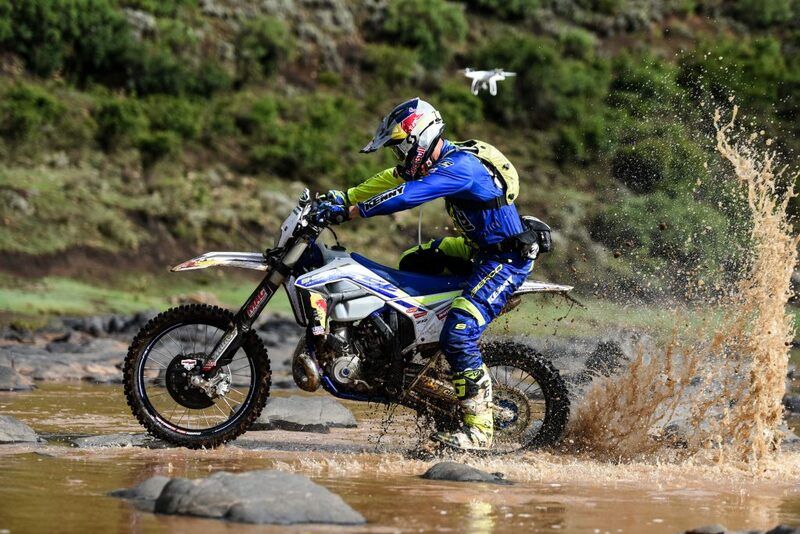 While Gilbert specializes in Cross Country style events, he is no stranger to the world of hard enduro and has conquered the Gold Class of the Roof of Africa an impressive 13 times before. 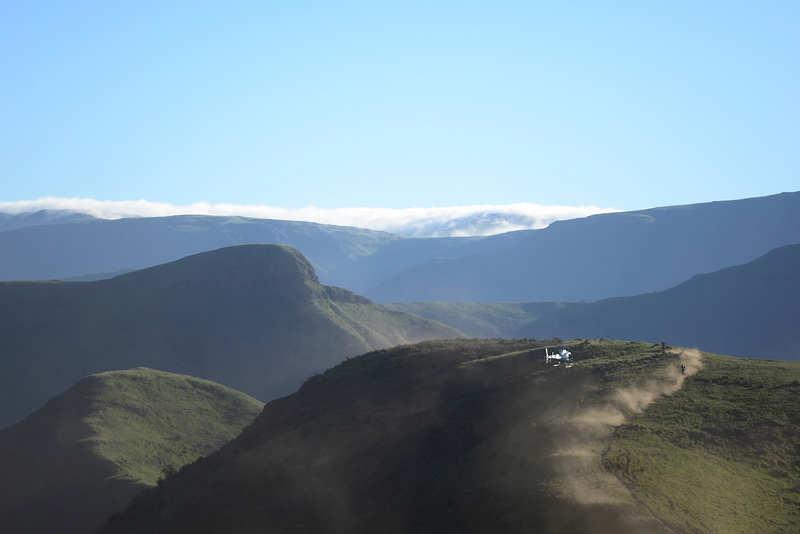 He arrived home to report good news from the Kingdom of Lesotho, especially for Gold Class riders who found the 2017 route slightly too ‘easy’. “This is how the Roof used to be, and should be! Everything is rideable, but you’re going to sweat from start to finish!” said Gilbert. 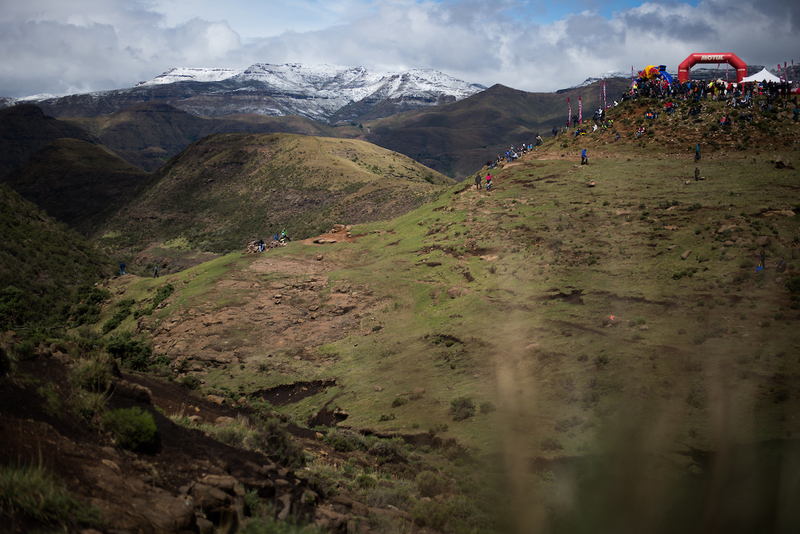 The majority of this year’s route will consist of virgin trails in and around Ramabanta – an area of Lesotho that Gilbert described as ‘every enduro rider’s paradise’. “It was exciting to head into the unknown – there was single track I’ve never experienced before, and a lot of wild, overgrown terrain to navigate through. The new climbs are tricky because there isn’t always a clear line to follow, so I just stuck to what my GPS was telling me and kept moving. I wasn’t surprised by anything – the Roof of Africa is all about navigating, and I always knew it was going to be tough…” said Gilbert. Gilbert made sure to emphasize the importance of sufficient hydration, and described encountering an extremely dry terrain. He encouraged riders to take more water than usual and to fill up where possible. He also predicted a seven hour day for top riders on both Friday and Saturday, and a ten hour day for mid-pack riders. Victoria Harcy and Matthew Caraway when they got engaged. Photo provided. For the last 50 years, the Motul Roof of Africa, hailed the ‘Mother of Hard Enduro’, has attracted the top racing talent in this sport. 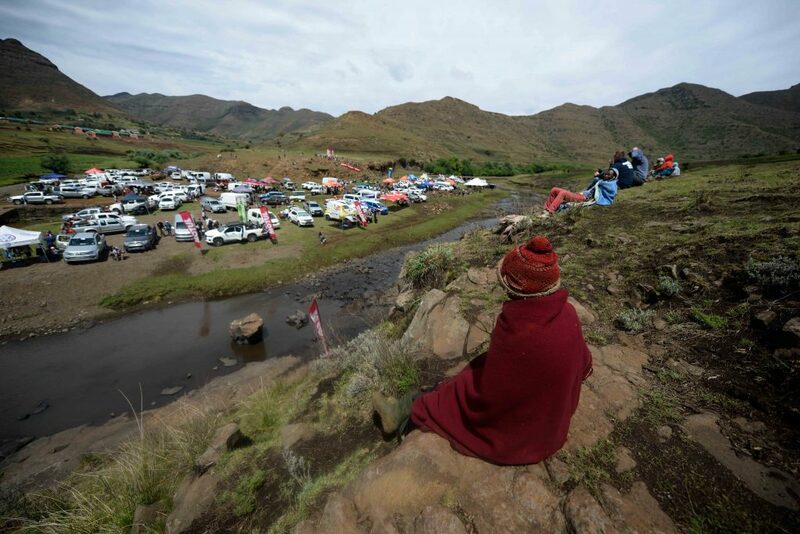 Fans gather to watch the world’s enduro giants take on three days of relentless pounding as they navigate through Lesotho’s technical terrain. Behind this admirable group of high profile athletes, however, is an army of amateur riders who have undertaken an extraordinary challenge. There are fathers who enter this event with their sons, weekend warriors who have plucked up the courage to attempt the Bronze route, and aspiring riders pushing for a top 20 Gold finish. This year there is a Bronze entry that stands out in particular. 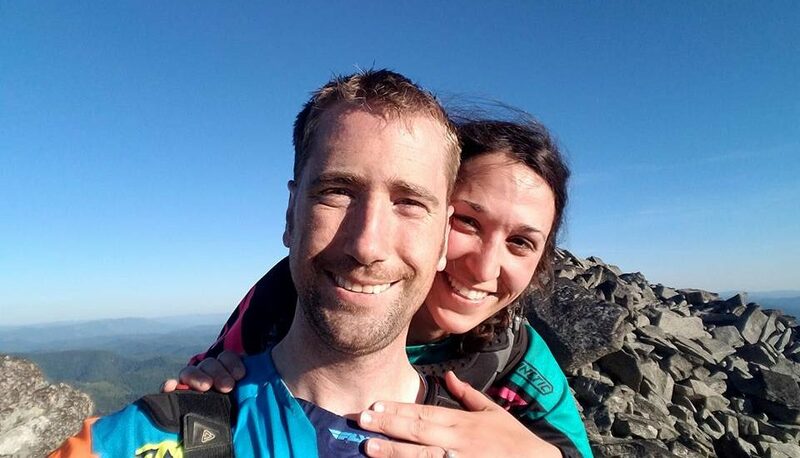 Meet the newly-wed pair of Victoria Harcy and Matthew Caraway, who will make a trip from America to do the Roof of Africa for their honeymoon. The couple met in 2012 at Moab, a famous riding area in Utah. While they were both 8 hours away from home, they soon discovered that they lived just 5 minutes apart. “Matthew took us to a new location, and we rode our bikes to the top of a mountain that overlooked one of the largest lakes in America. I stood admiring the view, and he kept reaching for my hand to take off my gloves. I had no idea what he was doing, and I refused to take them off! He finally took a different approach and showed me the ring instead,” enthused Harcy. 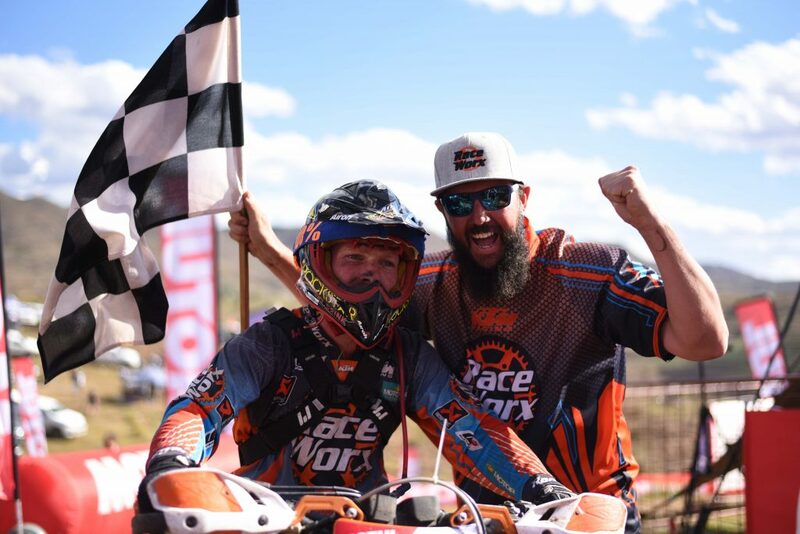 While the couple have since competed in renowned events like the AMA Extreme Enduro, RevLimiter Extreme, and Silver Mountain Xtreme Challenge – entering an enduro race abroad was on the top of their bucket list. “One night we sat down and listed all of the international races that interested us. It needed to be both technically challenging and a multi-day event. The fact that the Roof required GPS navigation added an extra level of difficulty that we wanted to take on! Very few races in the US use that format. Africa is a pretty exotic and exciting location, and very few people we know have raced the Roof before!” said Caraway. While most newly-weds opt for a seaside getaway for their honeymoon, taking on the ‘Mother of Hard Enduro’ is certainly an interesting choice. For a couple who thrive off setting big goals and overcoming challenges, however, entering the Motul Roof of Africa was quite fitting. 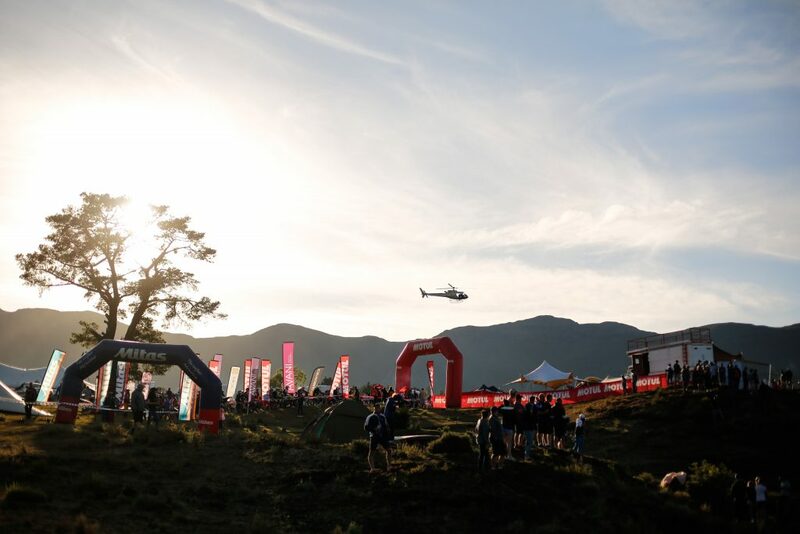 The event has unveiled enduro riding paradise for 50 years with dizzying altitudes and over 400km of unrelenting terrain to offer. 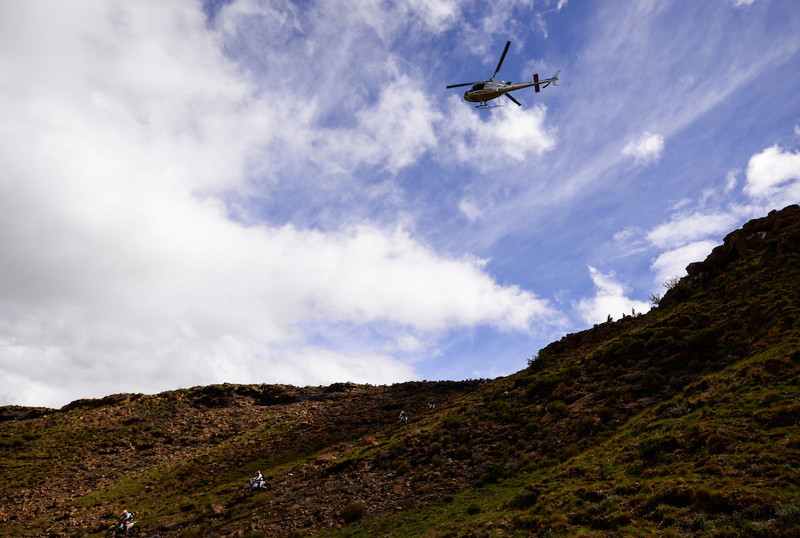 While participants have become familiar with the pounding trails, infamous climbs and popular ‘Round the Houses’ seeding event; the 2018 Motul Roof of Africa will come with some exciting changes. 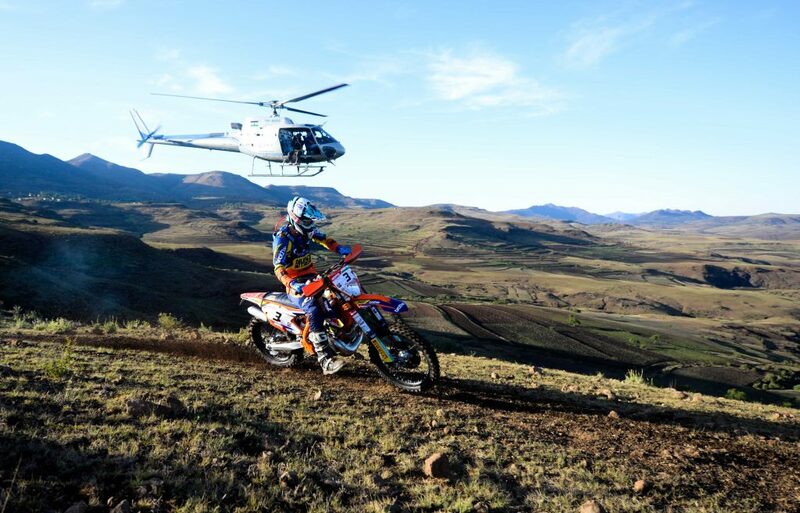 The hard enduro action will kick off at a brand new start and finish venue this year at St Andrews School in Ha Raboletsi, approximately 55 km from Maseru. 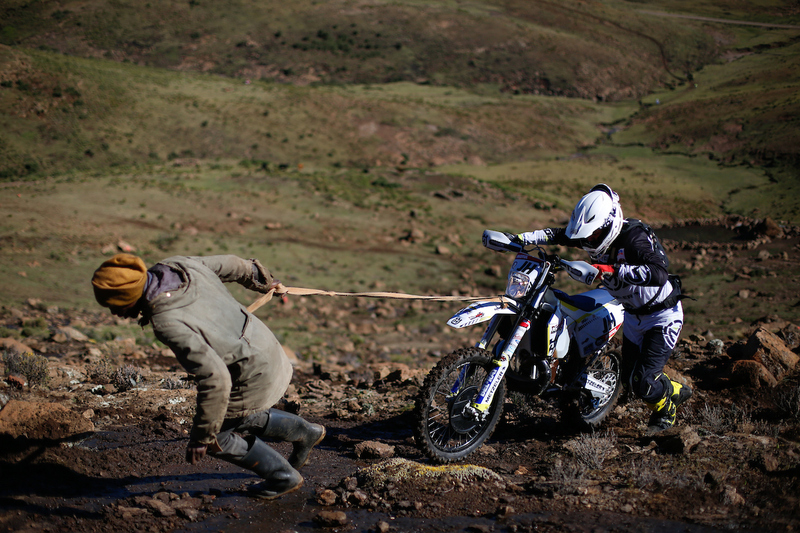 The ‘new routes’ that Luck refers to have given the Roof of Africa a complete make-over. 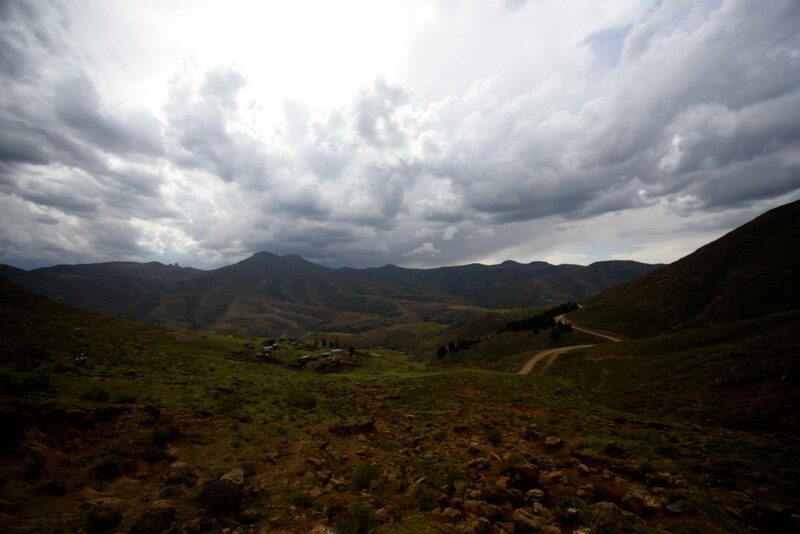 An impressive 65% of the event will comprise of trails that have never been used in this event before, and the remainder of the route will take riders to sections of Lesotho that have not been ridden in the last eight years. 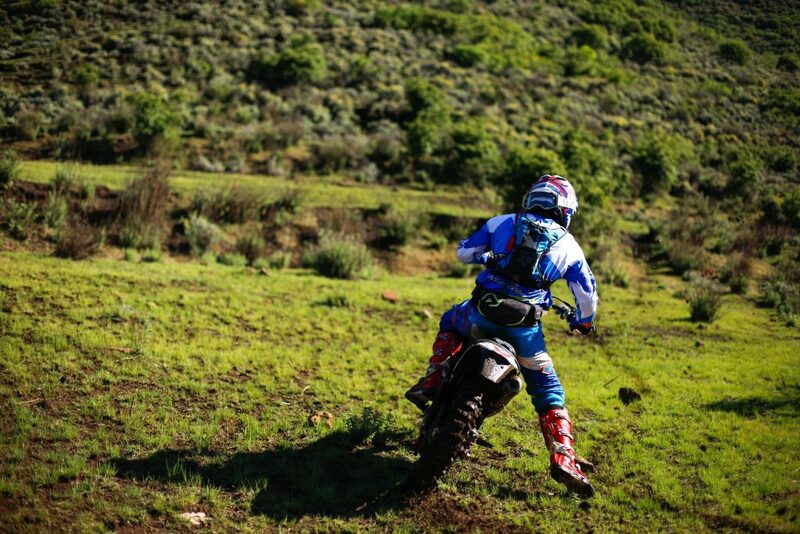 Motul South Africa is excited to announce that Cross Country legend Kenny Gilbert will be doing a recce of the Roof of Africa route in the coming weeks. “I’m am really looking forward to riding in Lesotho again especially being able to pre ride the actual route of the 2018 Roof of Africa. I’ve raced and finished the ‘Mother of Hard Enduro’ 13 times. 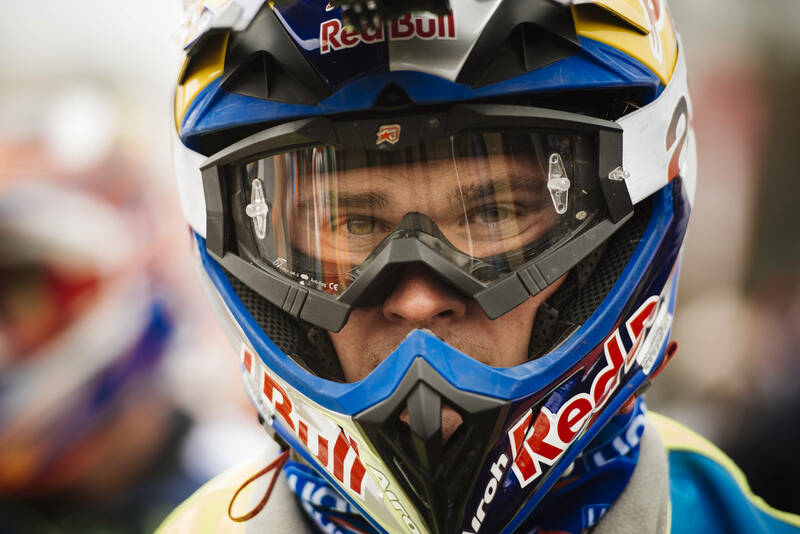 I will do my best to get as much information for the organizers and riders as possible. Fun times ahead!” said Gilbert. Check the action that is set to unfold at this year’s ‘Mother of Hard Enduro’ with our 2018 Motul Roof of Africa route preview.